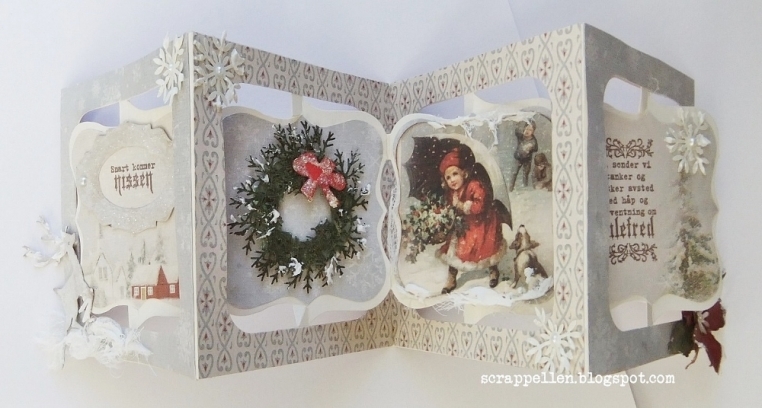 Hi everyone, it’s me, Ellen, and this time I’ve create a Christmas card as/Mini Album, and a Christmas gift-tag, so it’s many photos. 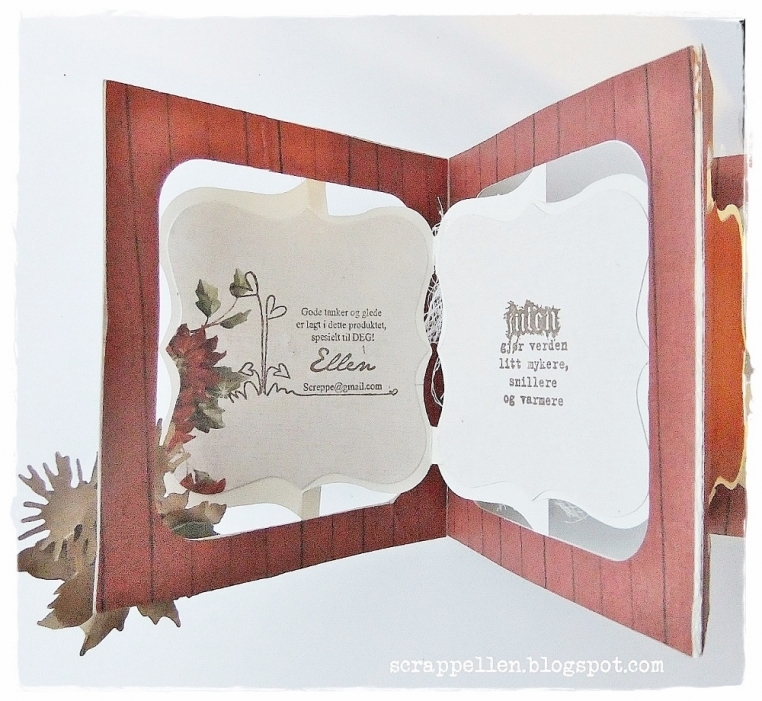 To create this Mini Album, I’ve used Sizzix dies- 3D Accordion Die, and “Frame and label bracket” . I just had to show how wonderful this red papers are together with these light blue tones. For the tag I’ve used some of my “leftovers” papers, and it’s a great idea to use these, I think. Thanks for visiting Pion’s blog today! I hope you liked my projects!